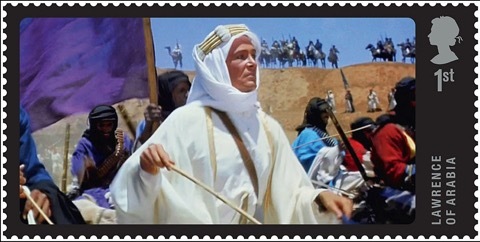 In a series of postage stamps celebrating great British films, the Royal Mail in the UK has recognised Lawrence of Arabia, the first film that I ever saw and the one that started me on my film making journey. How well I remember my first visit to the cinema and being entranced by this extraordinary film. I recently watched the 50th Anniversary restoration and was captivated anew. I have to be honest and say that there have been some moments recently, when post production on Rere’s Children has proved so difficult, that I have cursed the day I stepped into that cinema and saw Lawrence. But as I now experience the joy of completing the Amiri & Aroha trilogy and sharing it with the world, I know that I owe Lawrence of Arabia - and David Lean - a great deal more than words can ever express.